Astraea Lesbian Foundation for Justice is the only philanthropic organization working exclusively to advance LGBTQI human rights around the globe. We support brilliant and brave grantee partners in the U.S. and internationally who challenge oppression and seed social change. In pursuing our mission, we provide grantmaking, expand support to LGBTQI issues, and promote community-building, capacity building and movement-building. We also educate individuals about philanthropic giving and the role of grantmaking in achieving common goals. We provide flexible general support grants that enable our grantee partners to pursue their own visions, and we partner with groups over the long-term. We prioritize support for those sectors of our movement that have the least access to financial resources. 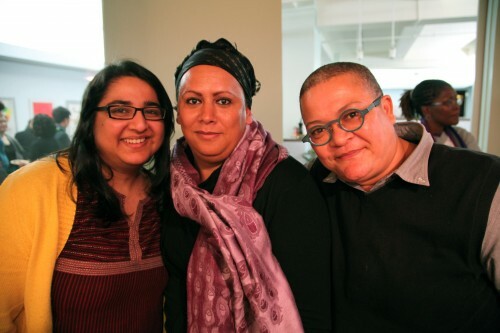 These include lesbian groups, groups led by trans* and intersex activists, groups led by LGBTQI people of color, and groups based in rural or other geographic areas where isolation and safety issues present barriers to visibility and community organizing.Truly invested in the sustainability of activists and movements, Astraea works with activists on the ground as advisors in our grantmaking process. Staff and committee members consider the overall strategy of a group rather than restricting funding to a specific project. This allows our grantee partners to use financial resources for overhead costs and it allows Astraea to offer long-term funding. Some of our oldest relationships with grantee partners date a decade or more. There was a moment when your story began. How did you (or your organization) come to practice philanthropy in this way? Astraea was founded in 1977 by a small group of multi-racial, multi-class activist women. These founding mothers wanted to address the lack of funding for women — specifically lesbians and women of color. Founding mother Achebe Powell tells us, “Astraea began in Nancy Dean’s living room over a dinner for all women who want to come together to discuss whether there’s a need for a women’s foundation.” Powell recalls, “At the time, only one tenth of one percent of all national funding supported women’s and girls’ projects.”Astraea’s founders believed that even the smallest of gestures combined could create, nurture and strengthen significant social change. We uphold strong values such as belief in self-determination, community empowerment, movement building and working across issues and generations. A trailblazer, Astraea has always supported the most marginalized communities at the intersections of racial, economic, social, and gender justice: Working class people, people of color, and LBQT people. From its first round of grants, Astraea has funded across disciplines, including visual arts, film and writing. Astraea’s first bulletin announces grants to radical groups: The NYC Lesbian Mother Custody Center, Third World Newsreel, Third World Lesbians literary collective, Mujeres Latino Americanas de New Haven — women organizing around employment, education, and healthcare.In 1991, Astraea “came out,” changing its name to the Astraea National Lesbian Action Foundation. This decision did not mean exclusively supporting lesbian communities, but rather addressed the invisibility of lesbian leadership in progressive movements. Queer women, while putting their lives on the line for racial, economic, and gender justice, were being systematically denied attention in women’s, LGBT and progressive spaces. Astraea funds in ways that are responsive to activists’ priorities. We ask our grantee partners where they want to take the movement and how they want to build it. This is bottom-up model feeds strategy upwards directly from the on-the-ground agents of change. Critics say we are not strategic, based on top-down thinking. As a foundation, we have a unique vantage point working with many movement organizations and our strategy, in fact, is to facilitate change with activists leading the conversation. Some also misunderstand our focus based on our name: Astraea Lesbian Foundation for Justice. Many mistakenly assume that we only serve lesbian communities. Others critique our prioritizing queer and trans communities of color as too narrow. Years of experience have shown us that if you support people on the margins, you will create change that benefits everybody and leaves no one behind. That is because marginalized leaders are precisely the ones who devise inclusive political approaches. One challenge we face is that many in the philanthropic landscape measure success through immediately visible short-term goals. Core to our philosophy is building long-term, multi-year funding relationships. We’re often the first funder to groups working in challenging situations, and we remain responsive when roadblocks come up and short-term goals must shift.As a result, we’ve started utilizing a new learning model to shift how we measure success. We look beyond a narrow causal relationship (expecting to see the direct result of each dollar) towards a more contributional analysis, which understands that societal change is a complex process involving the interplay of multiple organizations within an ecosystem of forces. We understand no one organization can singlehandedly take down structural oppression.We lead funder partnerships (Global Philanthropy Project and the LGBTQ Racial Justice Fund) to strengthen donor collaboration, emphasizing investment in small community groups. Astraea’s approach allows for wins that affect everyone — not just the most privileged. One success was the 2013 passage of the New York Community Safety Act by Communities United for Police Reform. This landmark legislation to curb police profiling was the first to include a broad base of protections based on race, religion, sexual orientation, gender identity, housing and immigration status. It was a huge win for a city with an NYPD wielding tremendous influence and a pro-police mayor dominating the legislative processes. Success could not have been won through advocacy by legal organizations alone – it was the result of over a decade of coalition-building and community organizing against police violence.It was flexible, general support funding that enabled the Audre Lorde Project to organize Coalition Against Police Brutality in response to the torture of Haitian immigrant Abner Louima in a Brooklyn police station in 1997. That funding also enabled FIERCE to take leadership in People’s Justice to demand accountability for the death of Sean Bell, a man of color shot by NYPD officers in 2006 outside a club on the night before his wedding. One piece of advice would be not to narrow your social change goals. It’s imperative to think big. Following our previous example, Streetwise and Safe continued the legacy of LGBTQ groups building strong relationships with racial justice organizations over time. They were working on holding the police accountable for gender profiling and mistreatment of transgender people. Instead of going it alone for a piecemeal win, they joined the steering committee of Communities United for Police Reform, incorporated their demand alongside broader demands around racial profiling and it paid off.It’s important to stay tuned in and flexible in your thinking since new strategies often appear that can take you where you are trying to go. Thinking too narrowly may result in it actually taking longer to reach your goal. And, finally, listen to activists as experts. I want to live in a world where all people can live whole lives with dignity, respect and self-determination. This means a deep shift in power relations to create an equitable society. “Funding outside the box” is the only kind of philanthropy that could get us there. In traditional philanthropy, “the box” too often functions to preserve the status quo. I appreciate Astraea’s community-based approach, which breaks down who is the philanthropist and who is the ‘beneficiary’ and fosters leadership at all levels. We recognize donors as activists and activists as donors. When hired, Astraea valued my activism outside the organization and supported my growth to become a program officer. Astraea’s grantee partners similarly support members’ growth to take up leadership. I am inspired daily by our bold grantee partners who step outside the mold, support leadership of the formerly incarcerated, youth of color and trans people. That’s the kind of risk-taking needed to make real change.